This dash cam is a looker that's rewriting the design book for dash cams. 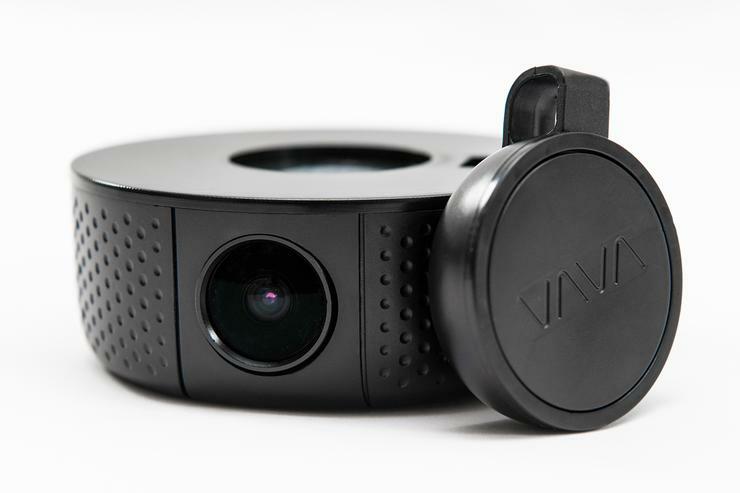 Vava’s Dash Cam is stylish, cleverly designed, and it offers at least two features that are unique in the dash cam world as far as we know: 360-degree rotation on its magnetic-coupling, and enough battery on board to capture in parking mode for up to 72 hours. It’s also on-trend with the latest features such as Wi-Fi connectivity, iOS and Android apps, and a separate Bluetooth snapshot button (press it to capture stills) that can be placed anywhere in your car’s interior. If you’ve ever been in a hurry to capture an image, only to miss the opportunity because finding the tiny button on the camera took too long... you’ll appreciate the latter. All the innovation would mean nothing if the video were weak, but Vava has even taken care of that, both day and night, by incorporating a Sony IMX291 STARVIS sensor. In short, this is a very impressive product from a first-time vendor. It shows what can be done when you examine existing designs with a skeptical eye. It’s even competitively priced at $150 (sans SD card). To see how it stacks up against other models we've tested, check out our full roster of dash cam reviews. The Vava Dash looks like nothing so much as a overly thick, rounded hockey puck—in a good way. Really. It couples magnetically to a suction mount, which allows it to be rotated a full 360 degrees to capture any non-frontal exterior or interior hi-jinx you feel should be preserved for posterity. The only thing even slightly untoward about the arrangement is that the suction mount is quite sticky and picks up nearly every piece of hair or lint in the area if you drop it. Use a fair amount of force when you affix it to the windshield, and if you drop it, clean it using warm water only—no soap or chemicals. Or perhaps permanently attach the mount with double-sided sticky tape once you’ve determined the optimal location. As the camera is easily detachable, it would be nice if Vava offered a more permanent mounting solution. Shown from left to right, top to bottom are the mount, camera, power back USB adapter (our unit has a plain adapter, the USB cable, and the Bluetooth remote button that takes snapshots. 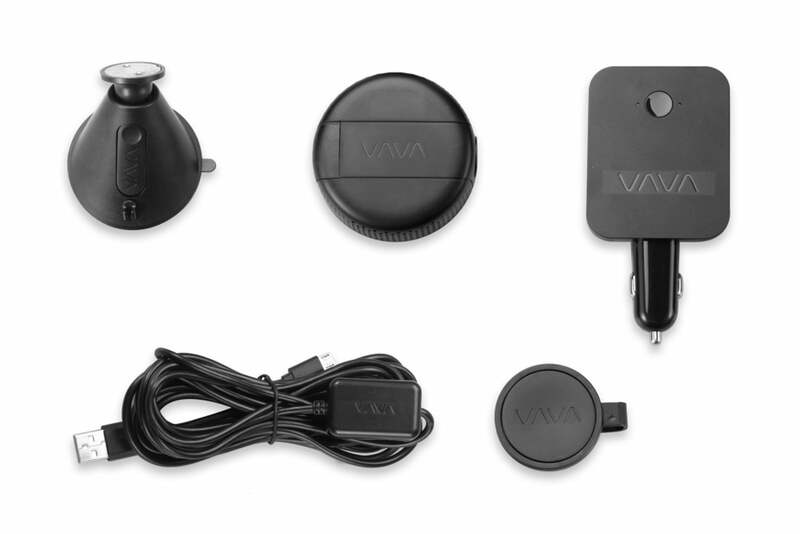 The Vava Dash Cam is powered via its micro-USB jack. Both a USB cable and an auxiliary power adapter with two standard USB ports are provided. The GPS unit is inline on the USB cable rather than in the unit itself, and is affixed to the dash or windshield, with, yes, sticky tape. On the area of the puck opposite the lens is a captive rubber cover that pops off to reveal the slot for the SDHC card and two very tiny status lights: red to indicate incident recording and other bad stuff (full memory cards, errors), and blue for normal operation. Vava thoughtfully provides a plastic spudger (prying tool) for lifting your auto’s interior trim components to hide the USB cable run. Use this at your own risk, and only after checking YouTube to see if anyone has attempted something similar in your type of vehicle. 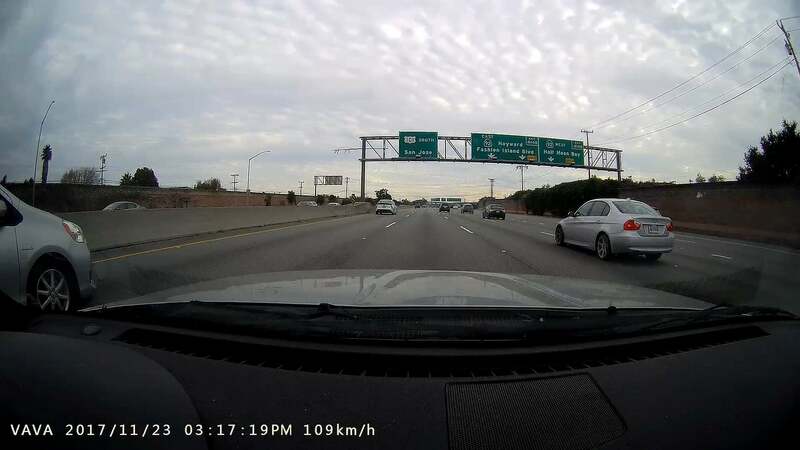 VaVa provides a Dash Cam app for your iOS or Android phone that can be used for viewing the current feed, offloading videos, and tweaking various settings. There’s not the depth of options offered by BlackVue DR750S, but all the essentials such as parking mode, resolution, and G-sensor sensitivity are there. You access the app’s functions by logging onto the Vava Dash Cam’s Wi-Fi hotspot with your phone, then connecting via the app. By default, the Vava Dash Cam records continuously, writing over the oldest material when required. However, it will save videos you initiate manually, as well as incident videos triggered by its G-sensor (if you hit something, or something hits you). The only hitch we encountered out of the box was that the G-sensor was set a bit too sensitive for the somewhat harsh road/track suspension in our test vehicle. You can lower that using the phone app, and in our case it cut way down on the false-positive incident videos. There’s a little bit of fish-eye from the 155-degree, 1080/60-fps video, and it’s a bit dark with subdued color, but detail is outstanding. We experience some fish-eye and aliasing effects, but that’s par for the course with a wide 155-degree field of view and the sharpness required to catch minute details. Overall, the video is on point for legal use, and quite good, if not the best we’ve seen for travelogues. 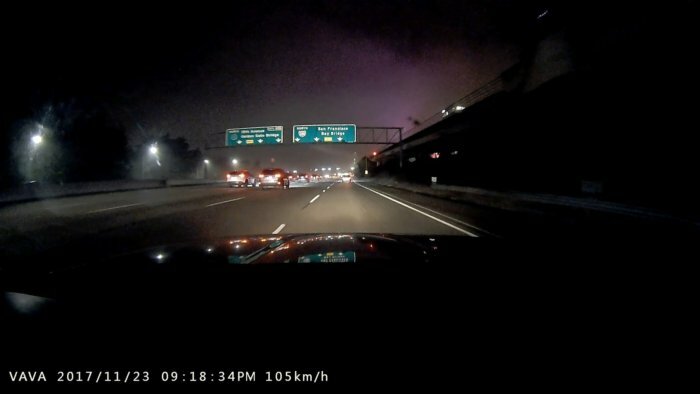 Nighttime video was also very good quality, capturing good detail and compensating for lack of headlights or other lighting politely when required, such as when you turn your headlights off. The 320mAh battery is big enough to turn on your camera even when the car is turned off and left for a while—such as in a parking garages or a foray into hostile territory. In our test the camera lasted for the better part of three days, chirping when disturbed. If you need more, then you’ll need to hard-wire the unit to a constant 12-volt source. VaVa doesn’t sell a kit, but it’s a minor DIY chore if you have any auto and soldering chops. If you don’t, seek a professional installer. We've tested a lot of dash cams, and the Vava Dash Cam is one we actually want to keep. You may, of course, get away a bit cheaper, with roughly the same video quality, with a dash cam such as the Viofo A119. But the Vava Dash Cam is far more elegant. Once you’re used to perquisites like the magnetic coupling mount, 360-degree swivel, a Bluetooth remote button, and parking captures without hard-wiring, it’s hard to live without them.